I never use a pattern for any of my items, but I normally make scarves. This year, I’m hoping to make more random creatures and animals. Let’s start this one off by creating a cicada! I know these beasts must be super annoying for those who live in the areas of the 17 year cicada, but mine comes from royalty. He’s made of upcycled cashmere, linen and all sorts of wonderful fabrics. Stay tuned to see his completed, transformed self! Time to post everything I missed! And those are pretty much all of them! I love custom work. When someone told me they wanted a narwhal, I give them what they want! Sometimes I love it when I can find the right material for the job. It looks like a spiral horn! All done. Enjoy! Yeah, I don’t use patterns. I love creating custom work. Someone wanted a stuffed nautilus with greys, greens and blues. Here’s what they got. And that is how you make a nautilus. The end. 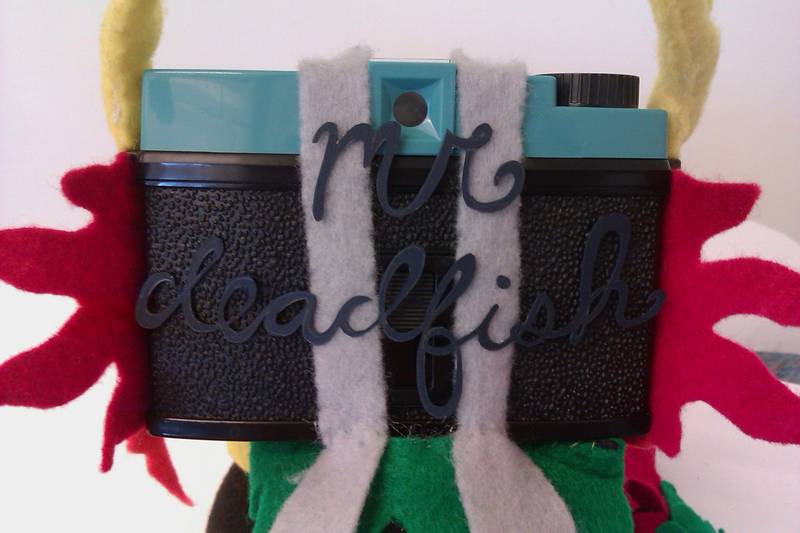 Win a custom mr.deadfish scarf. How do you enter to win? 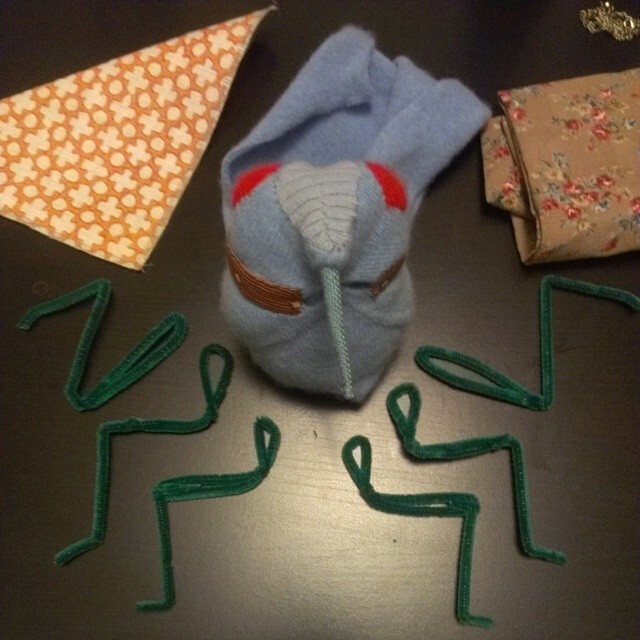 Here are a few steps to get you closer to custom scarf. Remember, all scarves are made from upcycled materials, so you can feel good about being green! Step two: Get a friend to like mr.deadfish. Step three: Retweet this post (or send me a screenshot that you’ve put it on your Fb). Step four: Leave a comment with your handle + your friend’s handle (don’t worry, all comments are private until I approve them) + the specifications of whatever scarf you’d like. If you don’t feel comfortable leaving a comment, send me an email. I will be drawing a name on August 1st, and the more followers you get, the more entries you have to win! Just let me know which friends are following me. Thanks for playing and good luck. It’s wedding season and my friends think of me when they want wedding cake toppers. I created these little guys with the inspiration of final fantasy. My friends love final fantasy and wanted a Rinoa and Squall hybrid mixed with them. Here’s what I came up with. And a few weeks ago, my friends wanted some owls for their toppers. I love doing custom work. Diana Tour is coming to town! I hope to see you at the upcoming tour. If you want to see this little guy in all its glory, come to the show! More details here.